Bach flowers have been used for decades to calm mental and emotional turmoil. Dr Edward Bach believed that illness and diseases can stem from negative thoughts or feelings that, when left unchecked, can end up impacting our health and daily lives. But controlling our thoughts and emotions can be difficult unaided. That is where flower essences come in. Each flower has the potential to help a specific issue or frame of mind. 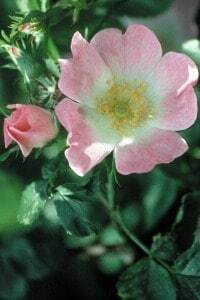 The flowers can be mixed, with up to 7 added to each remedy. There are no wrong answers, each flower has benefits that will help you. The remedies are gentle yet effective, can be used in conjunction with prescription medications, or other natural remedies, and can be used on pets and children, as well as the elderly. Self Prescription is easy. Simply read through the following flowers, and jot down any that resonate with you. You can choose up to 7. If more than 7 jump out at you, you can at first simply select Wild Oat for your first remedy, as this helps uncertainty, and aids in finding your direction. Or decide on the issues that you’d like to solve first. Each bottle will last about a month of daily use. When your bottle is finished, it is beneficial to read through the flowers again and see which ones jump out at you this time. Usually, after a few months, people end up with 3 or 4 flowers that are their constitutional remedy, able to help them through any situation. When selecting your flowers, try to be honest about the problem, as well as the cause. Don’t be too harsh on yourself, or accuse yourself of things that aren’t really the case. Excerpts of the text will jump out at you – write that flower down to be considered for your mix. 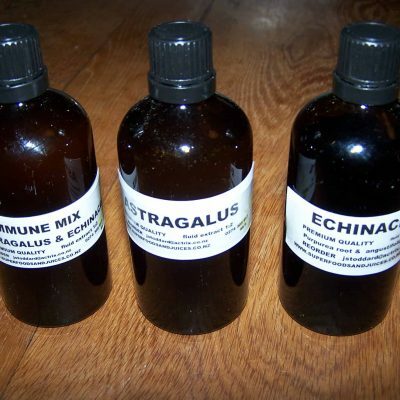 Please allow a few days for the bottle of Flower Essences to be mixed up, as this is a personal service, and they are made up to your order specifications. Your remedy comes in a 30ml spray bottle. Directions – 4 sprays under the tongue four times a day, or whenever you feel the need. When purchasing, please type which flowers you’d like in your mix (up to seven per bottle) in the comments section. …is the remedy for people who keep their troubles hidden under a mask of pleasure and happiness. The sad clown masking inner hurt by being the life and soul of the party is an Agrimony archetype. Friends are often the last to know that anything is wrong in the Agrimony person’s life. …is the remedy for any fear whose cause can’t be named. At one end of the spectrum the Aspen fear may be no more than a sense of foreboding, an uneasy anxiety that something unpleasant or frightening is going to happen. At the other it can be a real terror, with physical symptoms such as the hair standing on end. …is for people who find it difficult to say ‘no’ to others. Centauries are kind, gentle souls and like to help. But sometimes other more ruthless people take advantage of this, and instead of being a willing servant the Centaury person ends up the slave of another’s wishes. …is the remedy for people who lack faith in their judgement. Faced with the need to make a choice they can come to a decision without too much trouble – something which differentiates them sharply from people in a Scleranthus state. …is one of the remedies that Dr Bach grouped together under the heading Fear. The Cherry Plum fear is very specific: it is the fear that one is going to lose control of oneself and do something dreadful, such as injuring others or harming oneself. Fears of going mad and of acting irrationally are Cherry Plum states. Cherry Plum is one of the ingredients in Dr Bach’s original crisis formula, which he put together for emergency use. …is for people who fail to learn the lessons of life. They may repeat the same mistakes over and over, such as taking a succession of identical jobs and being surprised to find each one unfulfilling. They may also see others making a mistake and fail to apply the lesson to their own lives. They go right ahead and make the same mistake themselves. …people are full of love and care for their families and friends. But they expect to receive love and attention in return, with interest, and feel slighted and unnecessarily hurt if they don’t get all they expect. Their great love can lead them to hold onto their loved ones and try to keep them dependent and close to hand. This may stifle the development of other personalities, or simply drive people away. …is for people whose minds drift away from the present into fantasies of the future, or into alternative versions of the present. Often they dream of future success, creative endeavour and achievement. The danger is that they are not sufficiently anchored in reality to make their dreams happen. Clematis is one of the ingredients in Dr Bach’s original crisis formula, where it is used to help the fuzzy, faint, light-headed feelings that may come in emergencies. …is known as the cleansing remedy, and as such is the added ‘sixth ingredient’ in the cream version of Dr Bach’s original crisis formula. Its main use is to help people who dislike some aspect of their appearance or personality, or feel that they have something unclean or poisonous about them. …is the remedy for people suffering a temporary loss of confidence due to the overwhelming amount of responsibility they have taken on. Genuine Elm types are people who are successful and carrying out work they believe in, but at times the burden brings them down and they feel will not be able to cope. The Elm state can be usefully contrasted with that of Larch. People in the former take up challenges willingly and only occasionally doubt their abilities; it’s the scale of a task, rather than the difficulty of doing something well, that causes the crisis. Larch people are convinced they are going to fail right from the start, and so tend not to try in the first place. …is for that relatively mild downheartedness we sometimes feel when things go wrong. We miss a bus; fail an exam; miss out on an opportunity: it knocks us back. Often the feeling lifts by itself, but the remedy can be used to lift it sooner so that we are able to make things go right instead of just hoping they will. …is the remedy for people who have given up belief and hope. Gorse represents a stronger kind of downheartedness than the Gentian state, because Gorse people wilfully refuse to be encouraged, so certain are they that their case is hopeless. If ill, they may think themselves incurable, and that nothing can be done. …is for people who are obsessed with themselves but do not like to be alone. Dr Bach called them ‘buttonholers’ because they latch onto people, all the time talking at exhaustive length about their problems, great and small, until people begin actively to avoid them. Thus the thing Heather people fear – loneliness – is brought about because of their behaviour. …is often thought of as the remedy for anger – but this isn’t necessarily the case. In the Bach system anger is a secondary emotion and we need to look more closely at the cause. Anger based on impatience needs another remedy, for example, as do those angers based on feelings of personal unfairness or impersonal injustice, or where there is a simple loss of control. …is for people who live in the past instead of the present. They feel that their best days are behind them and that there is little to look forward to, and as a consequence they prefer to dwell on past happinesses (or past misfortunes). In a more minor key, homesickness and nostalgia are also Honeysuckle states. …is used against feelings of exhaustion and tiredness that come before an effort has been made. …is, as its name suggests, the remedy for impatience and the frustration and irritability that often go with it. Anyone can get into this state of mind, but there are also genuine Impatiens types, who live life at a rush and hate being held back by more methodical people. To avoid this irritation they prefer to work alone: the Impatiens boss is the one who sends staff home early so she can get the job finished quicker. …is the remedy for people who feel that they are not as competent as others. They lack confidence in their ability to do things well, assume they will fail, and often don’t bother to try. …is the remedy for known fears. Whenever you are frightened or anxious about something, and you can say what that ‘something’ is, then Mimulus is the remedy to take. Mimulus fears are those of every day: fear of public speaking, of the dark, of aggressive dogs, of illness and pain. Phobias can also be Mimulus fears if the cause of the fear – whether spiders, birds or open spaces – can be named. Rock Rose might be preferred where the phobia causes real terror. Where the fear is vague and there is general anxiety and apprehension without a specific named cause, there Aspen might be a better choice. …is the remedy for deep gloom and depression that descends for no apparent reason out of a clear blue sky. …is the remedy for strong, steady people who never give up under adversity. They plough on with determination, and never consider resting until they are past the point of exhaustion. …is the remedy for tiredness and exhaustion after an effort of some kind, such as hard physical or mental labour, or the long struggle against illness. …helps when we blame ourselves for things done or undone. …is for people who feel fear for the well-being of others: the husband afraid when his wife goes out alone after dark; the mother fretting over what may happen to her child at school. …is the remedy against terror, and as such is an important ingredient in Dr Bach’s traditional crisis combination. …is the remedy for people who take self-repression and self-denial to extremes. …helps when we find it difficult to make up our minds. Sometimes there are two options, sometimes more. Scleranthus uncertainty affects both small and not-so-small decisions. ‘Should I marry Joe or Peter?’ and ‘should I buy a red notebook or a blue one?’ may both be Scleranthus states. Sometimes Scleranthus indecisiveness manifests itself in other ways. Some people who suffer mood swings and motion sickness turn out to be suffering from Scleranthus indecision. But neither symptom by itself is a Scleranthus indication – the emotional state is always key. …is one of the remedies in the traditional crisis formula. It is the remedy for the after-effects of shock, such as is caused by unexpected bad news or any unexpected and unwelcome event. …is the remedy for people who have reached the limits of endurance. They have explored all avenues and see no way out of their difficulties. They feel there is nothing left for them but annihilation and emptiness. …people are perfectionists with a keen sense of justice. They are blessed with extreme mental energy that they willingly throw into the causes they believe in. …is for people who know their own minds and think they know what is best for others. They are strong and enjoy the exercise of power, but in their negative states this can lead them to dominate others by force alone. …is the remedy to help protect us against outside influences in general, and against the effects of change in particular. …is the remedy for those talented, capable people whose independence and self-reliance can make them seem proud and disdainful. …is the remedy for unwanted thoughts and mental arguments that intrude into the mind and stop us concentrating. …is the remedy for people who feel they want to do something worthwhile with their lives but don’t know which direction to go. They tend to drift from one thing to another without finding a true path. They become frustrated and downcast as a result. …is for people who have accepted all that life throws at them and have given up the struggle for fulfilment. …is for people who feel resentful and bitter about the way their lives have gone.